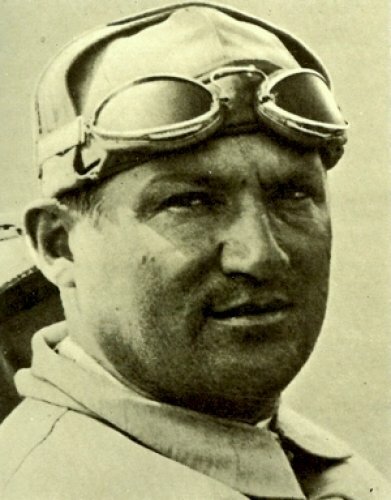 1888: The birth of one of Italy’s early motorsport heroes, Antonio Ascari, in Bonferraro. Starting out as a mechanic, he took on an Alfa Romeo franchise and from graduated into driving. He began racing cars at the top levels in Italy in 1919, using a modified 1914 Fiat. Along with Enzo Ferrari, he raced in the first Targa Florio held after the end of World War I in 1919, but did not finish after crashing into a deep ravine. His bad luck there continued in 1920 and 1921, but in 1922 he finished a strong fourth. Driving an Alfa Romeo for Vittorio Jano in April 1923, he narrowly lost the Targa Florio, finishing second to his Alfa Romeo team-mate, Ugo Sivocci. However, the following month at the Cremona Circuit he drove to his first major #Grand Prix victory. In 1924, he was again the winner at Cremona in the first race of the P2, then went on to Monza where he won the #Italian Grand Prix. 1925 promised to be a great year for Antonio Ascari, his car dominating the competition at the Circuit de Spa-Francorchamps when he won the inaugural Belgian Grand Prix. He could even eat and drink slowly during a pit stop. The 36-year-old Ascari was killed while leading the 1925 French Grand Prix in an Alfa Romeo P2 in the first race at the new Autodrome de Montlhéry south of Paris. He crashed at the fast left handed corner on the straight that headed back to the banked section of the track; Ascari died of his injuries on his way to hospital in Paris. He left behind a seven-year-old son, Alberto, who would become one of the greats of #Formula One racing in the early 1950s and who would also die behind the wheel at age 36 and on the 26th of a different month, four days after a remarkable escape. Antonio Ascari is interred in the Cimitero Monumentale in Milan. 1923: The last race staged at the Jamesville Fair Ground, Wisconsin, US, was won by Red Parkhurst. 1924: Jimmy Murphy (29), American race car driver who won the #Indianapolis 500 in 1922 and the American Racing Championship in 1922 and 1924, died. As he charged for the lead late in a race promoted by a friend, at the Syracuse, New York fairgrounds dirt track race, his car slid sideways and crashed through the inside wooden rail. A large piece of the rail was pushed through Jimmy’s chest, and he died before he could be taken to the hospital. 1950: The first race was staged at the Opa Locka Speedway, Florida, US was won by Bob Gegen in a supercharged MG TC. 1951: The Aston Martin DB3/1 made its racing with debut at the RAC Tourist Trophy race at Dunrod, Ireland, but the car driven by Lance Macklin had to retire due to bearing failure. 1985: Ayrton Senna driving a Lotus 97T won the rescheduled Belgium Grand Prix. It was Senna’s second World Championship victory and the first of five he would win at Spa-Francorchamps. Senna won by 28 seconds over British driver Nigel Mansell driving a Williams FW10. Third was World Championship points leader, French driver Alain Prost driving a McLaren MP4/2B. The win promoted Senna to third in the drivers’ standings and third place allowed Prost to expand his lead over Ferrari driver Michele Alboreto to 16 points. 1991: Harry Gant turned in a dominant second half of the race to win the Peak Antifreeze 500 at Dover International Speedway, Delaware, US lapping the field for his third win in a row in #NASCAR’s premier series. Gant, who led 326 of the 500 laps on the mile track, strung wins together at Darlington, Richmond, Dover and Martinsville during his hot streak, which earned him the unofficial nickname of “Mr. September.” Geoffrey Bodine finished second with Morgan Shepherd third. Just 16 of 40 cars were running at the finish, largely because of a 15-car wreck that thinned the field in the 69th lap. 2002: In another dominating 1-2 finish for Ferrari, Rubens Barrichello won the Italian Grand Prix, on a two-stop strategy, in front of his one-stopping team mate Michael Schumacher. Jaguar-Cosworth’s Eddie Irvine finished third. 2002: Freshman driver Ryan Newman held off a late-race gallop by Kurt Busch to win the rain-shortened event at New Hampshire International Speedway (US). Newman led the final 41 laps and was only a car length ahead of Busch when rain curtailed the event after 207 of the scheduled 300 laps have been run. 2007: Rally driver Colin McRae, 39, (cover image) and three other people were killed when their helicopter crashed near Lanark in Scotland. The son of five-time British Rally Champion Jimmy McRae and brother of rally driver Alister McRae, Colin McRae was the 1991 and 1992 British Rally Champion and, in 1995 became the first British person and the youngest to win the World Rally Championship Drivers’ title, a record he still holds. McRae’s outstanding performance with the Subaru World Rally Team enabled the team to win the World Rally Championship Constructors’ title three times in succession in 1995, 1996 and 1997. After a four-year spell with the Ford Motor Co. team, which saw McRae win nine events, he moved to Citroën World Rally Team in 2003 where, despite not winning an event, he helped them win the first of their three consecutive manufacturers’ titles. He was appointed a Member of the Order of the British Empire for services to motor sport in 1996. 1955: The USAC was formed by Indianapolis Motor Speedway owner Tony Hulman after the American #Automobile Association (AAA) withdrew from auto racing following the 1955 Le Mans disaster. 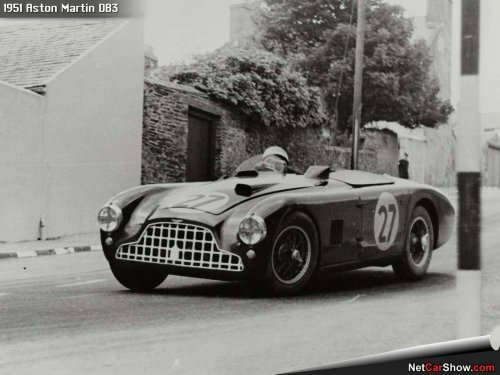 It became the arbiter of rules, car design, and other matters for what it termed championship auto racing. The USAC’s long history as on open-wheel sanctioning body continues today with the Silver Crown Series, National Sprint Car Series, National Midget Series, Ignite Ethanol Fuel Series, .25 Midget Series, and Traxxas TORC Series. 1978: At Santa Pods Raceway’s September Internationals Sammy Miller made his UK debut with the ‘Vanishing Point’ rocket funny car, breaking all existing records with a quickest elapsed time of 4.41/245.6mph. His slowest run was only 4.94/225 mph! Sammys best terminal speed of the weekend was 290 mph, just missing out on the £5000 prize Santa Pod had put up for Europes first 300 mph run. Santa Pod gave him £2500 for coming so close. 2007: The Belgian Grand Prix had something in common for both Fernando Alonso and Mark Webber – they both started their 100th Grand Prix. Alonso finished on the podium in third, and Webber achieved his second best result of the season by finishing seventh. Kimi Räikkönen finally came home to win from Massa, clinching the World Constructors Championship for Ferrari.